Hello beautiful earthlings! 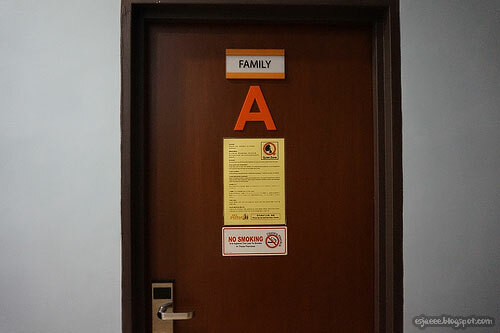 When we got back from Singapore to Kuala Lumpur, my mom thought that it would be better if we stayed over in an affordable accommodation for the night to sleep in till we go to KLIA to catch our flight to Manila. 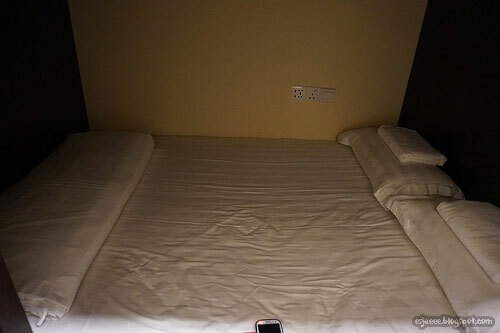 We didn't really think that it was possible to spend the night in an airport and mom said that it would just cause us hassle so we booked a night at Sri Packers. 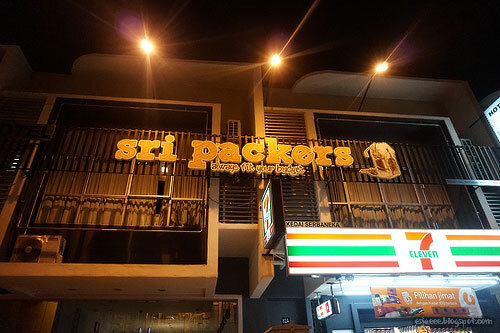 Sri Packers is a hostel type accommodation that we booked through Agoda.com. It says in the website that they are very close to KLIA. It was about 20 minutes away from the airport according to Google Maps. We probably spent around €60 for the night but that is already for 6 people. That is €10 per person which I think is a good deal! It took us a while to get to the place since our taxi driver was not familiar of where Sri Packers was. I suggest that if you are staying with them that you bring the full address with you. It was almost like a ghost town when we got there since it was already 3 AM. 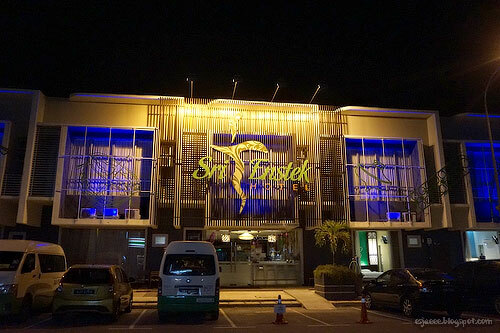 We first passed through Sri Enstek Hotel thinking that we were lost. We were not really looking at the other side and across the hotel was Sri Packers. 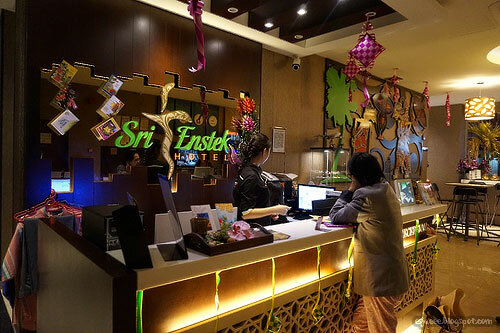 We checked in Sri Enstek Hotel since the hotel and hostel are just in one management. 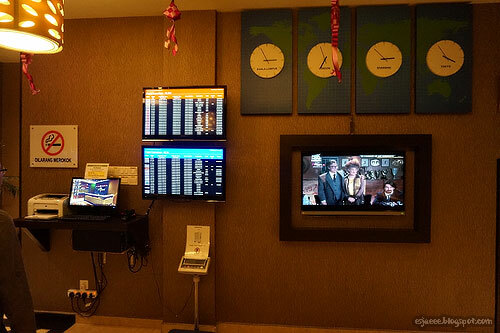 The front desk recepetionist was so friendly and very helpful since mom asked their shuttle services to the airport. I could not remember the price of their shuttle service but I do know that the price is doubled during non-peak hours around 12 PM to 6 AM. I found this screen very helpful since they had all the flight details in it. It has both the departure and arrival gates of the airport. Also one free thing that we appreciated was their luggage weighing scale. 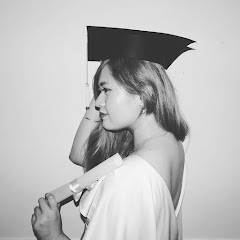 It was so handy since we already knew that we were not carrying excess baggage with us going to the airport the next morning! After checking in, we headed across the road for our accommodation. This wall caught our attention right after we got in the front doors. They have this cool lounging area with bean bags! Across that was their dining/kitchen area. 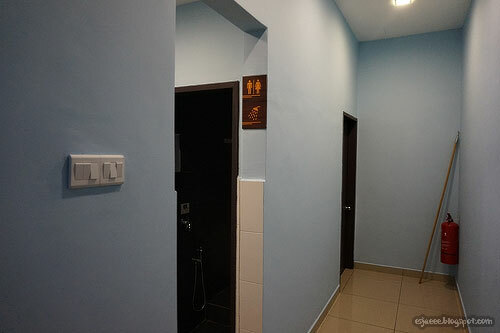 Since this is a hostel accommodation, people could be rooming with strangers and also there was a common shower room in the ground floor for everyone staying in the hostel. 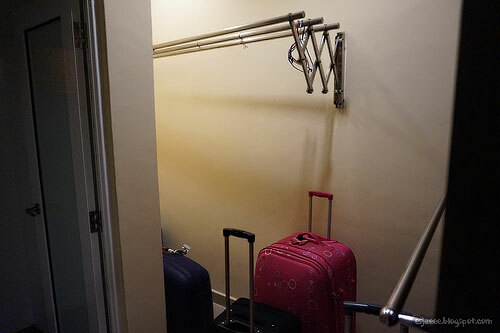 From the last accommodation we stayed in, we expected the worse which was no elevators to help us carry our heavy luggages! 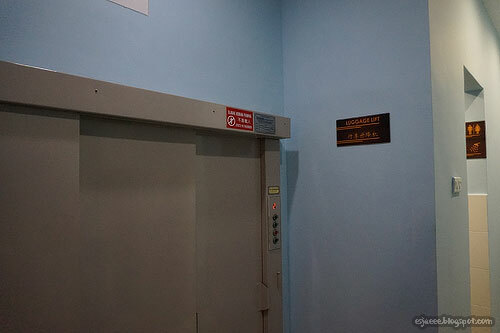 But I was delighted to see that they have luggage lift. 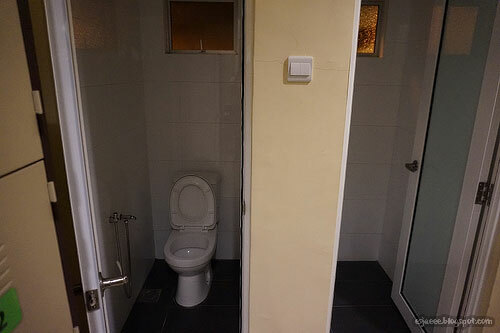 We were quite lucky enough that we got the family room that is on the ground floor and we got our own bathroom! The family room has about 6 beds and two bottom bunk beds were actually double bed that can fit two people. The room we got had a closet/storage area where we placed our lugagges. 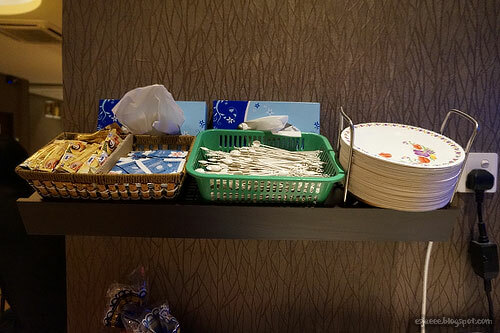 There was also a rail where we could hang our clothes. We were all delighted with our bed! I wasparticularly delighted since I called dibs on the bottom bunk bed which happened to be a double bed! Towels were also provided on top of the pillows. These culprits were the main reason why we were so happy that late in the night. 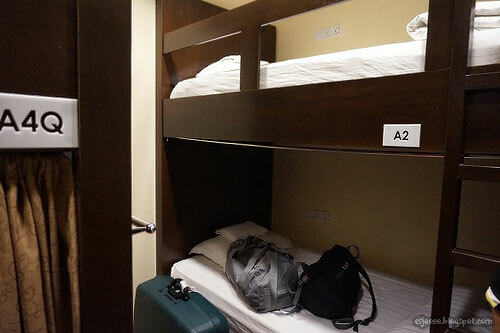 Every single bunk has its own socket. We had the standard three way socket and two sockets that can take in round and straight plugs. 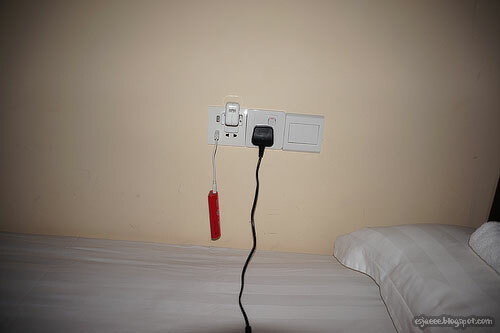 They also have a power outlet for USBs! How amazing is that?! 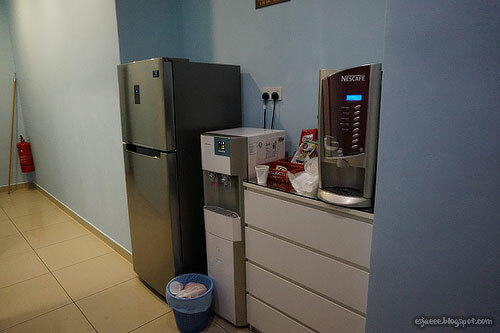 Mom even mentioned how every hostel should have this since it was so convenient for all guests. No need to fight over charging times and who gets the socket space! 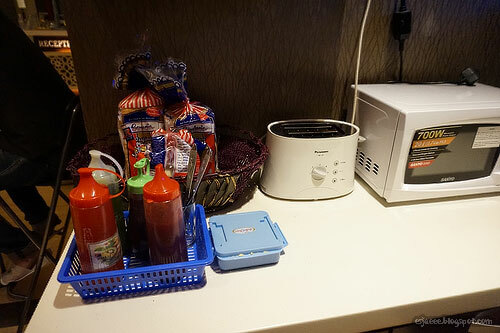 Our stay included a complimentary breakfast which included coffee/tea, toast and two Malaysian dishes. 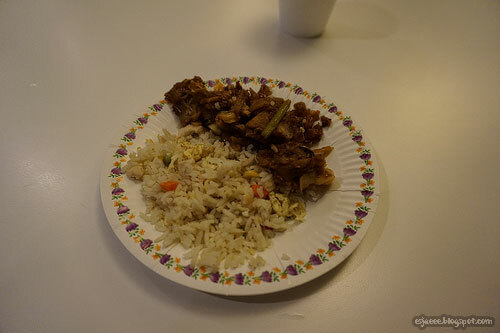 I had this for breakfast and just a little warning that some of the food could be a little spicy for one's liking. I can handle my spicy food so this didn't bother that much. 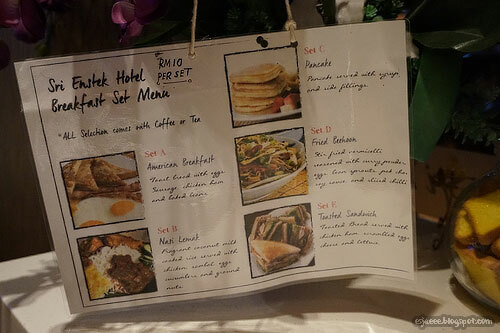 Guests could also order their breakfast instead if the food provided was not up to their liking. 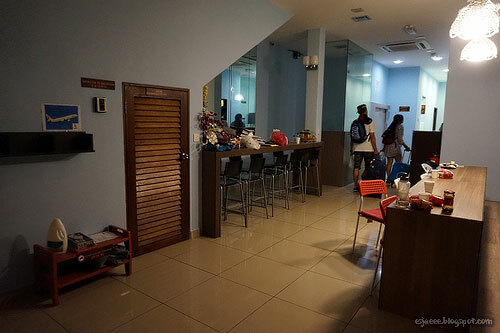 Overall,I would highly recommend this hostel if you are in a budget and looking for an accommodation close to the airport. However, this is quite far from the city and it would cost you a lot of taxi fare. There was a 7 Eleven beside the hostel. I could not really remember if there were any restaurants within the area. This place is perfect if you are just in Kuala Lumpur for transit and not touring around the city. So that's my review of the hostel. I am hope you guys find it helpful especially to those travelling to Kuala Lumpur and are looking for accommodations.